A couple of portraits of friends’ dogs. Ba’cho the shepherd mix is a shelter dog and one of the handsomest dogs I know. 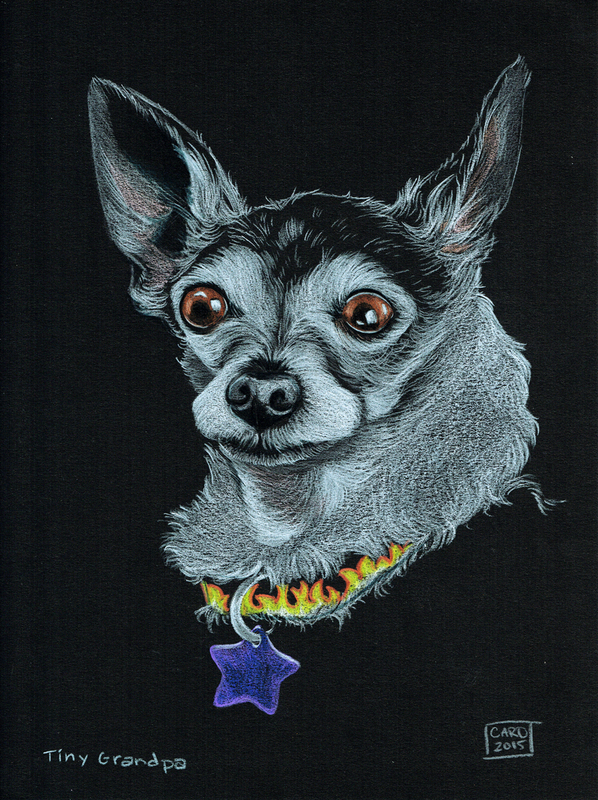 Percy (affectionately nicknamed Tiny Grandpa) the chihuahua is a foster failure and a little spitfire in a bitty package. 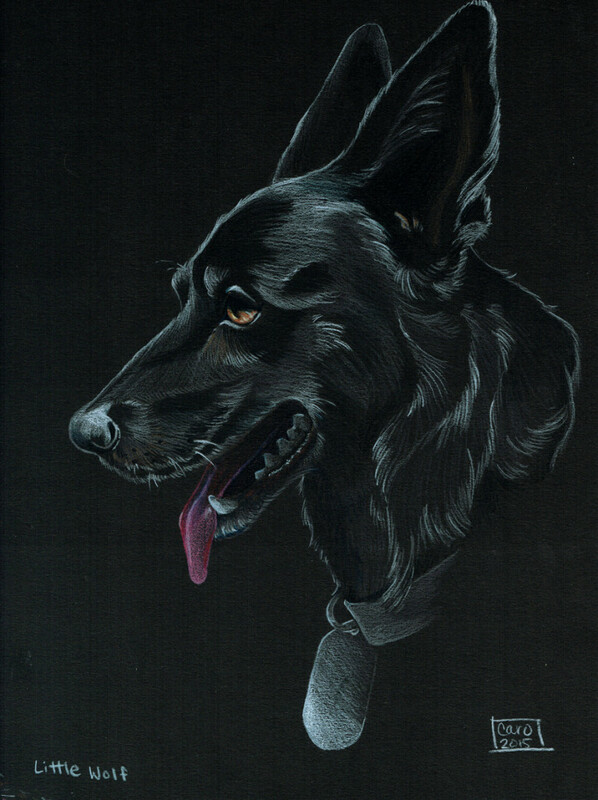 Colored pencil on black paper.